A complete CRM system to manage all sales pipeline stages! A well defined sales funnel makes buying process easy for both you and your customer. When you have a lead tracking software that helps you clearly define all the steps of the sales process, you can see a massive increase in productivity. ClinchPad ensures that your lead generation efforts don’t go to waste. 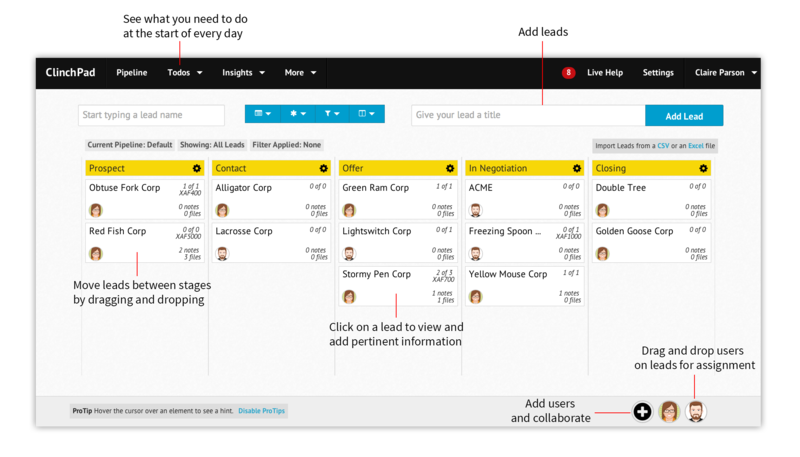 Thanks to a very intuitive cards and columns layout, you can track all the stages of a sales pipeline from our sales dashboard. Unlike other traditional CRM software, our CRM system makes it easy for you visualize the sales pipeline in entirety and see how efficiently leads trickle down the various stages of the sales funnel. ClinchPad is a very powerful online contact manager and centralized email inbox rolled into one. 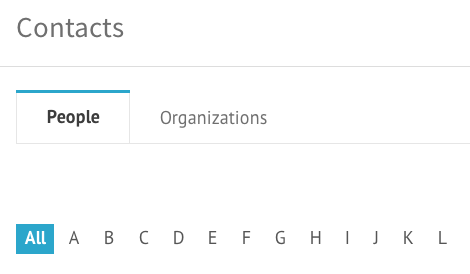 You can store, share and manage contacts online with your team. We make it easy for you to communicate with your leads right from the CRM system as well. 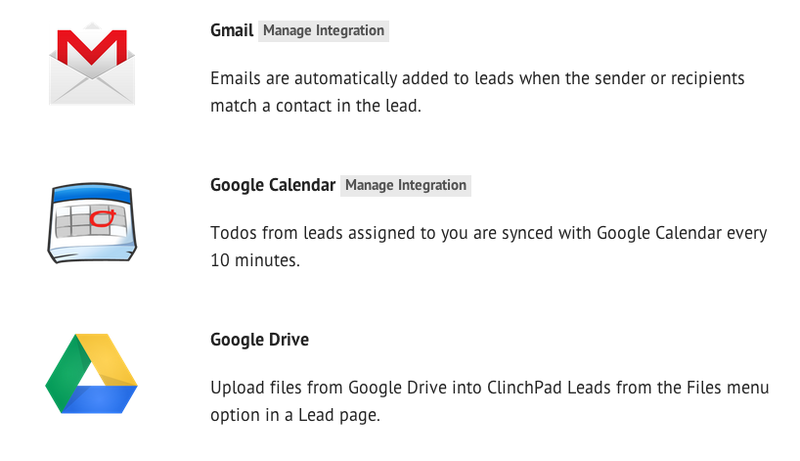 Sync directly with your Google Contacts and Gmail to keep your databases fresh! ClinchPad isn’t just a crm for small businesses. Our goal is to make it the best sales software ever. Our integrations with popular third party web form apps, live chat apps, helpdesk solutions etc. make sure you can bring all your lead tracking efforts under one umbrella. Our small business CRM is always flexible to your business needs. Businesses are tied to legacy software and we want to help our customers use them and ClinchPad side by side. Take advantage of our extensive API to build custom applications and integrations on your own. Our RESTful API follows global standards and is well documented.